Concrete slabs can settle overtime, and that can impact the aesthetic value of your home. More than that, unstable concrete slabs can cause accidents, especially if you have kids and pets at home. Concrete slabs may settle for many reasons, but the good news is you can fix the problem without destroying everything. Concrete slab settlement is most common in patios and driveways, and in this post, we are discussing the causes, solutions, costs of repair and other aspects that matter. Typically, slab settlement is common in regions that have clay soil. Soil erosion is another big cause, and that can be related to water leaks underneath and heavy rains. If you have too many trees around your property, the roots can cause the concrete slabs to become unstable, while in other cases, not compacting the soil enough during construction could be a reason. In worst cases, pests like rats and mice may take off a chunk of soil underneath the slab, and that can cause the slab to settle. Also called slab jacking, mud-jacking is the traditional way of concrete raising. 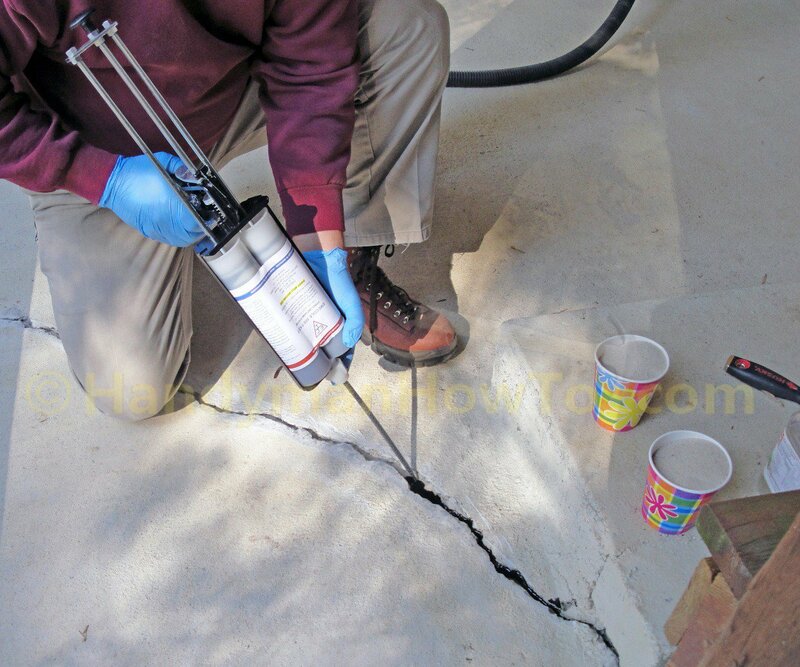 In this process, a grout mix is poured underneath the concrete slab by creating holes and it requires hydraulic pressure. The grout fills the void underneath the slab, causing it to rise. Polyurethane foam concrete lifting is the second option, where polyurethane foam material is injected under the slab using very small holes, and the material eventually expands underneath, causing the concrete to rise. One of the biggest advantages of polyurethane foam lifting is the material itself. It is lightweight, so it doesn’t exert any extra pressure on the ground below. Also, the process is faster than mud-jacking, and the concrete slab area can be used in a short time. Mud-jacking, on the other hand, is a more cost-effective solution. The cost of concrete raising depends on many factors, including the area and overall process selected. You should consider calling an experienced repair company that will send their experts to check the actual damage, before offering an estimate. However, we do recommend that you go for concrete raising as soon as possible, because if the soil underneath is unstable, the damages can increase in no time. Cost of concrete raising is not generally covered under insurance. To find more on concrete raising, check online now!